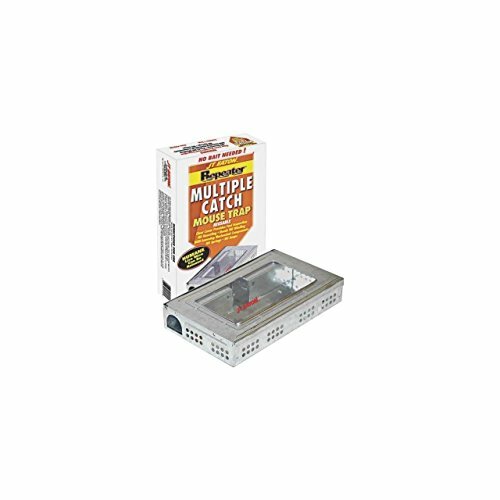 The JT Eaton 421CL Repeater Multiple Catch Mouse Trap with Clear Inspection Window effectively catches mice without baits or poisons. It has a dual-locking system which holds the ramps securely in place. The unit also has holes for using wire or cables to secure lid even further. JT Eaton's mission is to manufacture and distribute products designed to eradicate pests. We continually seek out new ways to provide consumers with the knowledge and products they need to create a healthier and safer world. JT Eaton has been family owned and operated since 1932 and they manufacture and sell only the highest quality products.